If there is one area of their body that most people are discontent with, it’s their abdomen. If there is one area of the body people want to change for better, again, it’s their abdomen. If there is one area of body that proves to be a tough challenge to trim and train, then, once again, it’s the abdomen. We come across picturesque bodies in the media – be it the newspaper, the magazines, the movies and even around us. Looking at those picturesque figures gives us a sense of abasement and despair as those bodies appear unattainable to us. The abdominal region, commonly called as the ‘belly’ when in it’s healthy measurements and ‘pot belly’ or ‘beer belly’ when in it’s not so healthy measurements- is the area of the body that lies between the chest and pelvis. Abdominal region is the residence of the entire digestive system, the kidney, and some vital blood vessels. 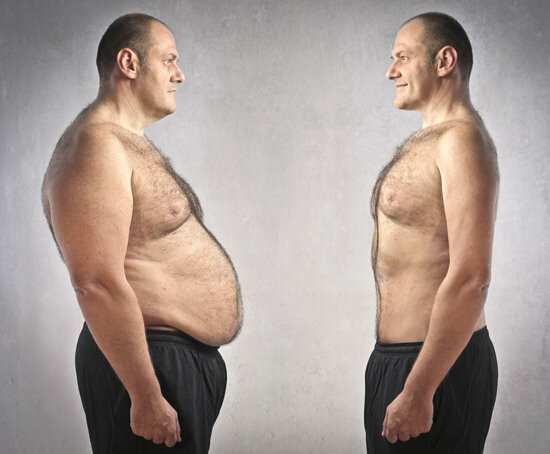 The pot belly is termed as ‘clinical obesity’ or ‘abdominal obesity’ by the clinicians. It refers to excess flab that exists around the mid section. Clinical obesity takes place when the amount of fat has crossed its healthy limits, and is capable of causing a negative impact on your overall health. Men having a waist circumference of 40 inches and above, and women having that of 35 inches and above – this article is something of your concern! A hunky set of abs is desired by men for aesthetic reasons, but getting rid of abdominal fat is more important than to just achieve a suave frame. Abdominal obesity is linked with increased risk of cardiovascular disorders and insulin resistance leading to Type 2 diabetes. Roughly speaking, every third or fourth person we know is affected by either cardiovascular disorders or Type 2 diabetes, so we can estimate how healthy the belly measurements of most of us are! Reducing belly fat proves to be a devil of a job for most of us and leaves us in a fix. It gets even more difficult because the efforts are not channelized in the right direction. I think youve made some truly inntiesertg points. Not too many people would actually think about this the way you just did. Im really impressed that theres so much about this subject thats been uncovered and you did it so well, with so much class. Good one you, man! Really great stuff here.